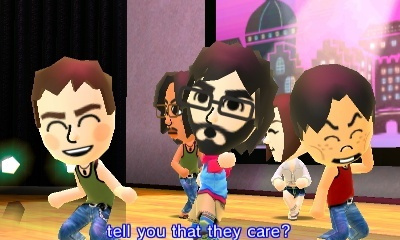 Tomodachi Life made a modest UK chart début when it launched in early June, not exactly shaming itself but struggling to make a significant impact. Since then, however, Nintendo of America has been making positive noises about its performance in its region and, in the UK charts at least, the Mii-sim has not only seen a steady holding of position, but a recent climb up the charts. There have been key retail promotions in the UK to encourage 3DS owners to share the experience with others — GAME offered a buy one get one half price deal, while all copies come with two codes for the 'Welcome Version' that can be passed along. These ideas seem to be working, as the title has moved up the UK charts in impressive fashion once again this week; it's moved up five places to 11th in the all-format results and, most impressively, moved up nine places to 6th in the single format chart. The only other Nintendo title in the top 40, unsurprisingly, is Mario Kart 8, holding relatively steady with some gains of its own — it's still a respectable 12th in the all-format charts and 7th in the single format results. It's certainly good news for the 3DS title that it's now running at similar levels to Mario Kart 8, actually overtaking the Wii U title this week. Nintendo may not be dominating the very top of the UK charts at present, but it's showing some staying power — that's an improvement over previous 2014 releases. Software gains after the game has been out a month are nice. Keep fighting the good fight U.K.! In before someone says this game is overrated and it isn't worth the retail price and NLife is writing too much about it and they will come into a stupid conclusion. This site surely seems to love the game. Is there a new article about the game every day now? Well it's enjoying a nice run also because there hasn't been much out this year as of yet. Last year at this time we were rolling in the 3ds games with many more to come. This year I've bought 2 3ds games and last year at this time I had already bought 7 with about 5 more on the way. I find the game a nice relaxing break from normal games. Been playing Shovel Knight lately on my 3DS and when New Game+ breaks me (and it frequently does) I take a more relaxing detour through my island laughing at silly randomness. Then I head back into brutal platforming (or whatever game I happen to be playing... which reminds me that I need to finish Prof Layton's last game...). Mario Kart 8 is showing good staying power rising in the charts hopefully the Game promotion helped move a lot more units. @Spoony_Tech There surely hasn't been much out this year (as opposed to last year), at least not in Australia. No AU release for Rune Factory 4. No AU release for Disney Magical World... I could be playing something new right now but instead I am still on Animal Crossing. 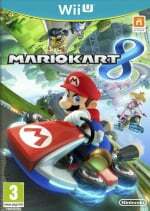 The thing with Mario Kart 8 is GAME had it for £30 on their website for one day (free game promo still valid and CeX give £29 cash for it...). Also other retailers have dropped the price of the limited edition a bit. Both those things are short term boosts which won't stem its continual decline. France, Italy, and Germany all hold Tomodachi Life very high. @Player4 my daughter says you're wrong, considering she's sunk a stupid amount of time into it and loves the game. I wouldn't necessarily play it myself, but to say it's overrated, criticise people who buy it, and then claim to be "smart" is dismissive and ignorant. I saw it in GAME the other week, prominently displayed on it's own promotional stand, straight down the center isle. Can't remember the last time a Nintendo game got that much shelf space.